Free entry to local attractions such as Forte Belvedere di Lavarone. Perched on hills above Lake Lavarone and central to the historical centre of Chiesa di Lavarone, this immaculate and classic Italian property offers the perfect spot for sports activities as well as those looking for rest and relaxation. 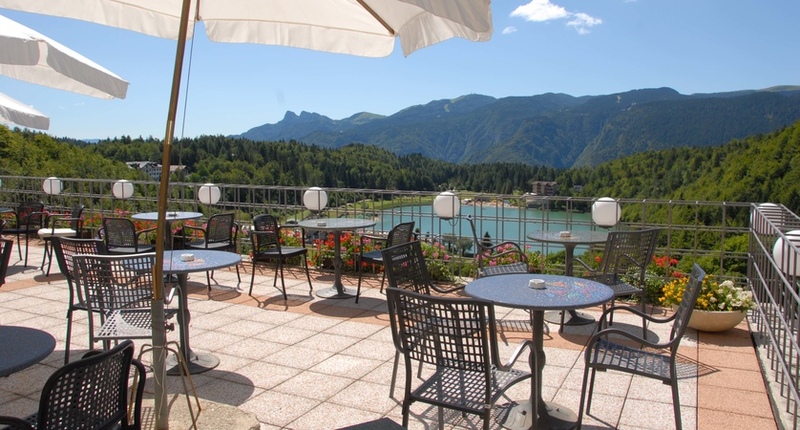 Lovely hotel with classic Alpine décor set in green and tranquil surroundings just 2km from Folgaria making an excellent base to explore the surrounding hills. The hotel is on a full board basis and has free drinks included for most of the day and at meal times. Transfer Approx. 1hrs 15mins by coach. Inghams guests with your free Trentino Guest Card. week. Walks run twice weekly from 9 Jun - 9 Sep.
when on a guided tour. and artists of different nationalities started in 2001.